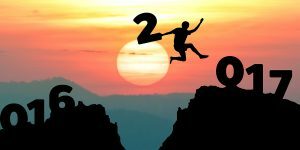 4 Steps to More Happiness, More Love, More Money, More Peace in 2017! The new year brings about hope for change to better ourselves, our circumstances. But does more happiness, more love, more money and more peace await you in the new year? Almost half of people make New Year’s resolutions, 45% . We’re going to lose weight, or make more money, or get into (or out of) a relationship. These goals reflect areas of our life that we identify as needing improvement, areas where if we succeed in changing, we hope to experience greater happiness and fulfillment. Many people as they mature stop setting goals for the New Year. They have improved their health, made more money and satisfied their relationship needs only to find that obtaining these goals brought them no greater peace of mind. As we embark on a new year, there is a new approach to consider. Maybe obtaining exterior things can never help us reach our first best-destiny. Then is goal setting a waste of time? Absolutely not. It’s ‘what’ we’re asking for that is the problem. Instead of focusing on things outside ourselves, consider making 2017 the year about your inner life. There are four easy actions you can incorporate into your daily life. It’s not about doing them perfectly, or even close to perfect. But once you begin down this path, the effects of the changes you are making will soon become apparent in your life. If you only do what you already know, you will never grow into the person you want to become. Simply put meditation is taking time each day to quite your mind and become centered. And the time you devote to meditation each day can be minimal, 10 minutes to begin with. You won’t be good at meditating at first most likely. If the first approach doesn’t work, try a second approach, and then a third. Would we stop a baby from walking after only a few tries? “Baby Sarah has fallen down twice. Clearly this kid will never walk” That’s absurd but we often do not give ourselves the love and support we offer everyone else in our lives. Be your own best friend on this path. Find a way to incorporate 10 minutes of quiet time each day. See if you don’t feel more connected to life, more energized and more focused. Could your life benefit from coming from a quiet centered place? These 10 minutes could literally change the course of your life. Find what works best for you, then begin to meditate each day. What interests you… arts, crafts, politics, skiing, movies, travel? The list is endless. Find something that piques your interest. In the internet age, you can find groups, clubs, chat rooms and activities that will address your interest. Why is this important? First off, it is your job to make your life satisfying. Watching TV alone for hours at a time doesn’t fill our need to learn and grow, and more importantly to interact with others. People who share our interests are easy to talk to because we already have interests in common. All of us yearn for a more connected life, find the people who share your interests and your passions and see if new friendships aren’t just waiting to happen. It’s not about one tribe being better than anyone else’s but finding the tribe, that group of ‘fellow travelers’ that YOU want to be a part of. Meetup.com is a terrific free service that allows people to find others with the same interest in their areas, no matter where you live. This is an important step but not as easy to reach as you might think. Our minds are all over the place thinking about the past and worrying about the future. Forgiveness is an important part of living a spiritual life. Forgiving the people who have hurt us is not about letting them off the hook. It’s about letting ourselves off the hook. Reliving past hurts or losses is the number one killer of present joy. There is a saying “That was then, this is now” that many find empowering. Yes, you failed in business once, that was then this is now. Your last relationship burst into flames, that was then this is now. Ok, dieting has never worked, ever… that was then this is now. We are often so much more forgiving to others than we are to ourselves. We support our friends and family as they try to improve their lives, but when it comes to ourselves we live in the past, paralyzing us in the present. To free up your energy, listen to the inner voice that talks all the time. When your inner-talk isn’t supporting you, listen closely to the voice. Who is it that is talking to you… a parent, your employer, a past relationship? When we live in the past, we amplify our failures and minimize our accomplishments. It’s as though we want to prove the hurtful people in our lives right. Instead, look at past events, see honestly the part you played, if any. Then use the past to guide you into becoming a better person in the here and now. The only path to personal growth is to learn from the past, and grow into the person you want to become. Find ways each day to be in the moment, to see your life from an observer’s point of view. What do you do excel at? Where could you easily improve your life? Where could you really improve your life with some effort? Everyone, whether you know it or not, has loss and heartbreak in their past. The successful people put the events of the past, in the past. They learn from the lessons of the situation, improve where needed and move on into the future. Become a leader in your own life, stay in the moment and focus on the future ahead. We’ve all heard the expression “Garbage in, garbage out”. You don’t have to be a scientist to understand that good food fuels your body in ways that donut never will. This is not a plea to become a health nut, rather to become conscious of what makes us feel good. Add an apple a day, or eat a few salads each week instead of your favorite fast food fare. In just a short time, your body will respond to the better quality food you are eating. It’s automatic feedback. Making a few simple changes will lead to feeling more nourished, more satisfied. And this will encourage you to make even more changes. Our eating choices are probably the most automatic thing we do each day. Making small changes now will lead to even better choices in the future. You will need more energy to meditate, to find your people, even to be more present in your life. Nourishing your body will directly nourish your soul and empower you to move confidently into the new year and beyond. Don’t be a slave to trends. In modern times, there are plenty of people who want to tell you what’s best for you. Find what fuels your body best, makes you feel strong, health and attractive… and do more of it. What do these 4 steps have to do with finding ‘more’ of what we want in 2017? Don’t keep taking the same steps and expecting and different outsome… it’s not insane… it’s just unrealistic. Random resolutions in the past have not worked for you, so consider trying something new. In 2017 focus your energy on being more present in your own life, find time to reflect and connect through meditation. Seek out people with your interests, trust me they are looking for you as well. Find forgiveness in your heart not just for others but for yourself. Life is not about being perfect. It is about learning and living and growing. And finally nourish your soul by better nourishing your body. Make small changes at first, then watch how feeling good becomes a life-long habit. Tool to quiet the mind….